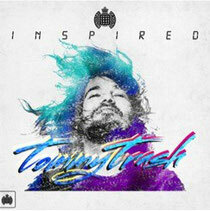 Kicking off the first in a brand new series of full-length compilation records, Ministry of Sound's 'Inspired' series looks to the sounds of Australia's Tommy Trash. Backed by some of the biggest names in Tiësto, David Guetta and Swedish House Mafia, Trash enjoyed a successful 2013, performing on the main stages at an array of festivals including Tomorrowland, Coachella and Creamfields, as well as summer appearances at Departures in Ibiza. With remix work for the likes of Zedd, Empire Of The Sun and Steve Aoki already under his belt, a US Grammy nomination for his remix of Deadmau5's 'The Veldt' and a Swedish Grammy nomination for his platinum selling collaboration 'Reload' featuring John Martin and Sebastian Ingrosso, Tommy Trash is a decent choice for the inaugural transmission in the 'Inspired' series. The compilation series itself looks for artists to tell their own story through records, documenting those that have inspired their respective journeys to the top and thus giving each edition a uniquely personal feel. "For me, it was all about the concept that Ministry of Sound came to me with. I really loved the idea of giving my fans an insight into what really influenced and inspired me." Tommy explains. Due for release on March 16, his 29 'Inspired' piece spans over two CDs, with the first covering 'Past Inspirations' and the second 'Present and Future inspirations', exploring a fully comprehensive mix of styles and sounds. "Most of the tracks on the first disc were from around 2001-2007, which was a real time of discovery for me… There were some producers that I had to include on there too - Stuart Price, Deadmau5, Eric Prydz and Booka Shade to name a few." To compliment the fusion of old and new, Trash has also chosen to include three fresh and exclusive tracks, including a bootleg of Cascade vs The End. "These two tracks were crucial for my career going to the next level. I still love playing them out and get big reactions from them but I really wanted to give people something new for this compilation, a twist on a classic as it were. "It's really good to take a step back and look at what music informed the tracks myself and probably quite a lot of my peers make today. I think it's healthy for people's understanding of what they’re listening to."